Q: What is the Dalai Lama's real name? "Seven Years in Tibet" was a pleasant surprise. 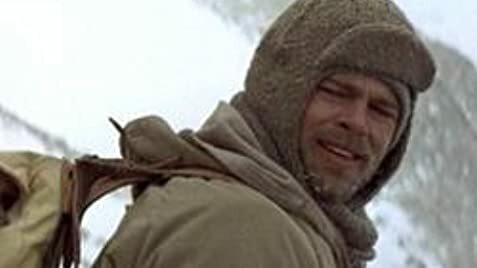 Sporting an Austrian accent that got slammed by some critics, I thought Brad Pitt was pretty good as an arrogant Nazi who finds himself captured by the British during a failed expedition to the Himalayas and is later stranded in Tibet after escaping from a POW camp. He finds his humanity in the forbidden-to-foreigners city of Lhasa, especially after meeting the 14 year old Dalai Lama. Echoes of "Lost Horizon," "The King and I" "Last Emperor" and others abound, but the movie is "old Hollywood" in the best sense with magnificent scenery (widescreen advised: the mountains and countryside of Argentina and Canada stand in for Tibet). The heart of the movie is the relationship between the blond Aryan golden boy and the young "Kundun," with a performance by the young Tibetan actor playing the latter that is so charming he nearly steals the whole film. An engrossing blend of fact and fiction, the picture manages to avoid condescending to the Tibetans and over-reverent preachiness. Wrapped in an excellent production, this epic story makes entertaining viewing. One question: how did the young Dalai Lama come by his love of movies in that remote location?